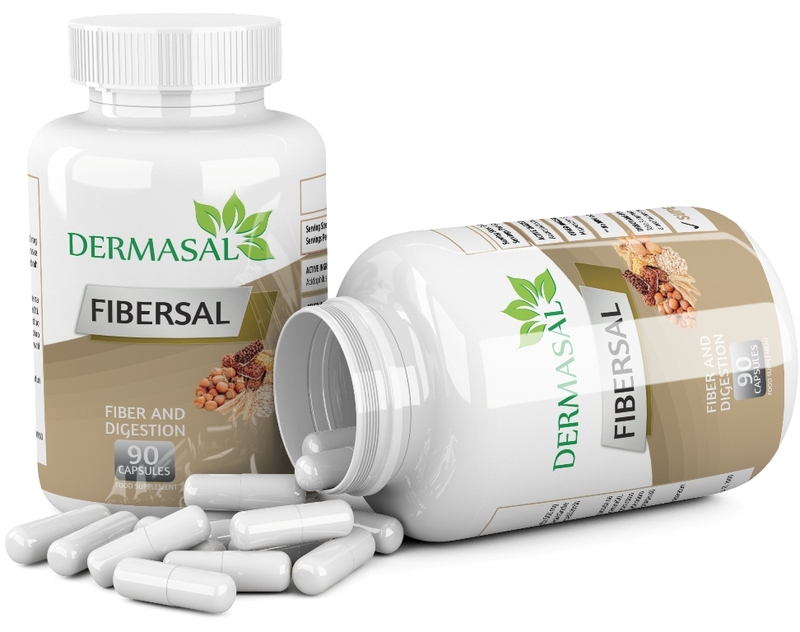 FIBER AND DIGESTION Dermasal is an ideal everyday fiber supplement, with a balance of essential soluble and insoluble fiber. Daily Fiber is a concentrated source of all 5 fiver types. Health authorities recommend at least 25 grams daily of fiber for good health, but most people consume only 10 to 15 grams a day. Fiber is essential for normal regularity and digestive health. Daily Fiber helps by supporting friendly bacteria and by moving waste material more quickly through the colon. For best results, use everyday as long as desired.